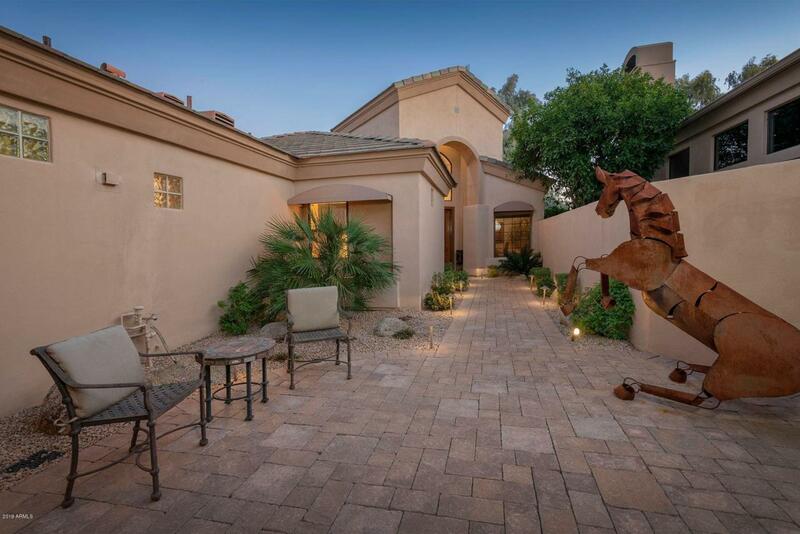 Single level detached Gainey Ranch home with private heated pool/spa and guest casita - unmatched golf fairway and Camelback Mountain views. 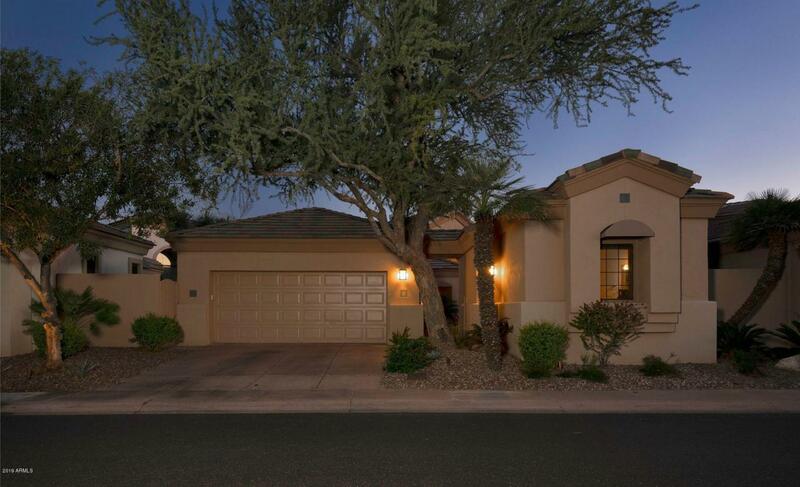 Completely remodeled in 2013 with new travertine & wood flooring, appliances, granite countertops, cabinetry, stonework, landscaping, and lighting. 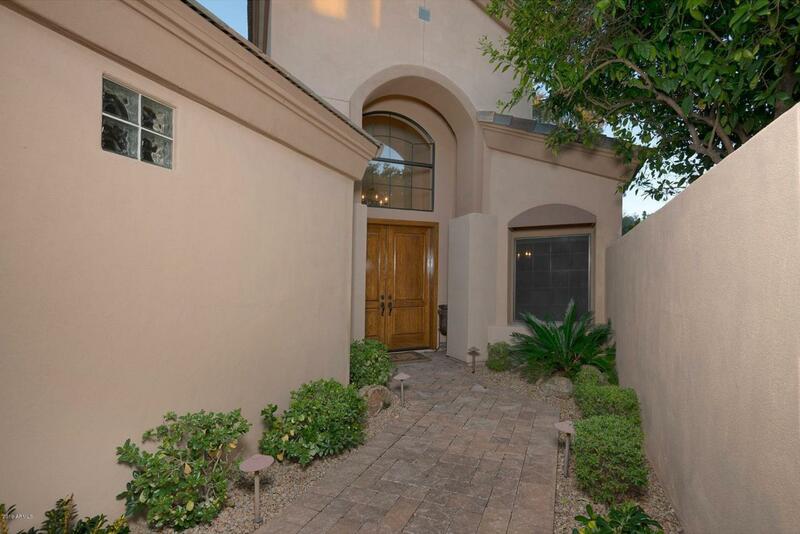 2-bedroom + den/office or 3rd bedroom, vaulted ceilings, two-way fireplace, private courtyard. 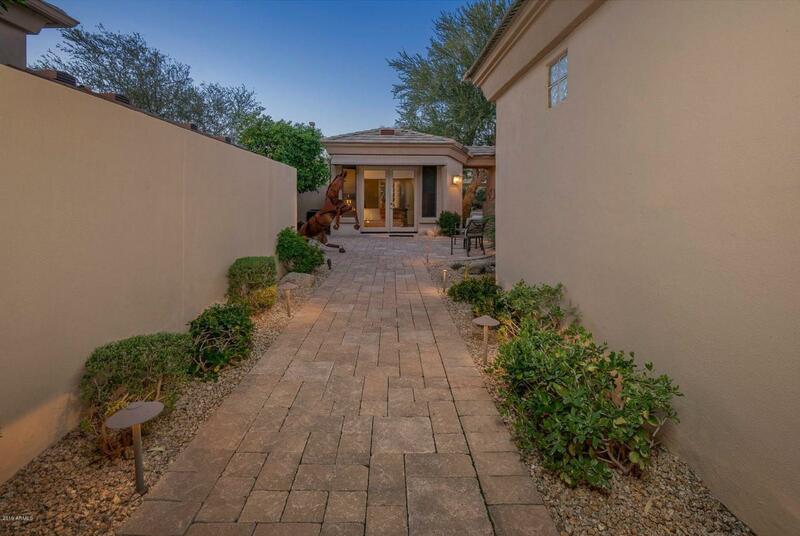 Gainey Ranch living with all of the amenities...club house, fitness center, tennis courts, and guard gated security. Call us to see this wonderful home! Cross Street Scottsdale Rd. & Doubletree Ranch Rd.